At the conference of the British Institute of Energy Economists yesterday, one of the speakers (the conference was held under Chatham House Rules) poured scorn on German energy policy, pointing to the €200 billion that will be paid out in subsidies over the next 10 years to renewables, the offshore wind turbines kept going by diesel and the socialisation of costs incurred where developers face delays. Economic efficiency, he said, should be at the heart of energy policy, Germans have ignored this and have paid the price. By contrast, he praised the underlying market-led principles of British energy policy, although he saw the electricity market reform (EMR) as an unecessary radical move away from such principles and would have preferred a more incremental approach which retain the Renewables Obligation. In more muted terms, such criticism of Germany, in rather schadenfreude-like tone, can also often be heard from British ministers these days. Leaving aside the question of whether the RO really is that cost-effective compared with feed-in tariffs, the conundrum here is that, if German energy policy has really been such an economic disaster, far more expensive than that in the UK, how come the political momentum behind the current direction of policy (phase out nuclear, continue to increase renewables) is so strong, while Britain’s is currently so weak? In this weekend’s election in Germany, no one, not even the economically liberal FDP and main critic of the Energiewende, is opposing the basic consensus; the disagreements are about implementation strategies (it also looks from opionion polls and the Bavarian elections earlier this month as if the FDP will no longer be in government). By contrast, another speaker at the BIEE conference argued that capital markets don’t see UK energy policy as plausible because it is not politically sustainable: i.e. the surge in costs (and in profits by energy companies as investment scales up) will not be tolerated by consumers and politicians. The capital markets, he said, are worried – “we pay attention to this kind of stuff” – and political uncertainty means finance for investments will not be forthcoming. There are various possible explanations for this contrast, including the oft stated view that Germans are more green-minded (although I have yet to see hard evidence on this) and that better social security means less fuel poverty. However, it will come as no surprise that my view is that a large part of what is going on is that German policy has led to investment in renewable energy by individual households, farmers, cooperatives, municipalities and small companies, creating a huge political constituency of support, added to further by an accompanying industrial policy that has seen lots of jobs in renewable-related industries. Less than 10% of renewable energy capacity in Germany is controlled by large energy companies. By contrast, in the UK, almost all investment in wind is controlled, and subsidy captured, either by the Big Six or by large commerical developers. Policy can have political effects. Interestingly, the second speaker went on to say that while there is also consensus between political parties in the UK on energy policy, and especially on meeting the 2020 renewables targets and tackling climate change, that consensus is very thin, existing at the party leadership level only, and has not been proven at the wider party and most importantly amongst the electorate. The problem is that there hasn’t been a major public debate about the issue, which has remained low in visibility. In other words, political elites have tried to handle energy policy by depoliticising it, partly through legislation like the Climate Change Act, but in the face of the huge task of decarbonising the electricity system, this strategy has its limits. The German route has been to have more of a public debate, which has risks but produces a much deeper consensus, and a more politically sustainable strategy. The British dilemma is that, from the point of view of those who want to see a climate-friendly outcome, our policy so far has been laying precisely the wrong kind of political foundations for such a debate. Why support paying for more wind if you see subsidy and rising profits going to the intensely disliked big energy utilities? Whitehall still doesn’t get small-scale decentralised electricity generation, seeing it as simply economically inefficient instead of politically significant. An interesting, valuable and stimulating analysis, Matthew, with most of which I completely agree. 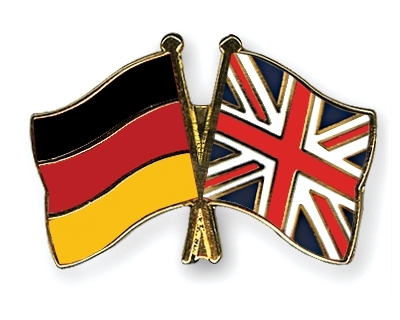 Studying like you the contrasts between German & British politics of energy, I’m led to conclude the back-stairs dominance of corporate dominance of political thinking in the UK is hugely responsible for our dysfunctional politics on that topic. Corporate energy interests predominate in Westminster administration and Whitehall thinking, hugely outweighing concerns about democratic, civic engagement, or with Britons making their own energy policy from the bottom upwards. Supposed ‘market solutions’ have distorted, debased and weakened much of the UK’s civic culture in recent decades, to such an extent that over-centralised, often terrifyingly young policy-makers are free to regard UK residents habitually as consumers & customers, only intermittently as voters, and almost never as empowered citizens. An under-resourced bureaucracy reaches for big levers to give the quick solutions to big problems demanded by short-term ministers. Thus overloaded Whitehall adopts the solutions put forward by big corporations, not least the big energy companies who provide scores of their paid secondees to DECC & other ministries. Contrast the UK’s corporate-dominated hierarchy of government with the federal, de-centralised and engaged political culture of a federal state, whose constituent Laender such as Bavaria put a high value on their civic freedoms. Superimpose on that the arrogance of Germany’s Big 4 energy providers who, as you imply, missed 20 years of legislative signals that green, decentralised energy would be the future now arriving, and failed to invest for it. Arguments about the Energiewende’s cost aside, it is no accident that politicians of the right and the left do so little to challenge its deep, all-party popularity. Though its costs may need re-thinking, the Energiewende – conceived as part of Schroeder’s Red-Green coalition, and and adopted & continued by Merkel’s Black-Yellow alliance with the FDP – enjoys an amount of cross-party democratic support & continuity, of which our remote, centralising and corporately compromised Whitehall & Westminster establishment can only dream. Reblogged this on Sunrise Business.